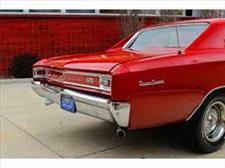 View Conquest Classic Cars's online showroom. 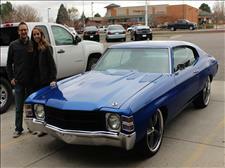 Greeley CO's finest pre-owned vehicles. We are easily located at 3805 W 10th St.
Let Conquest Classic Cars show you how easy it is to buy a quality used car in Greeley. We believe fair prices, superior service, and treating customers right leads to satisfied repeat buyers. 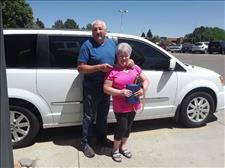 My husband and I just bought a 2015 Chrysler Town & Country from Conquest Classic Cars and the service we received was outstanding, Mark and Holly were awesome, they never made us feel pressured and worked with us to get us the best deal, I would definitely recommend them to friends and family! Garrett is hands down one of the best salesman I have ever dealt with. From start to finish Garrett was nothing short of amazing. I am in California and Garrett was quick to respond to anything and everything I threw at him during my purchase and delivery of my 1966 Chevy Chevelle. I would purchase again from Conquest Classic Cars in a heartbeat! I can't say enough about the help and experience my wife and I had with Conquest Classic Cars on the purchase of a 1971 Chevrolet Chevelle! My wife and I had been looking for a muscle car for her and she fell in love with one about six months ago. It was on the First Choice Motors lot at the time and before we could make any moves on the car, the owner was arrested, the lot shut down and the car lost to the court and banking system. With the help of Garrett and Ryan along with the rest of the Conquest team, we were able to track down the car and acquire it at a fair and equitable price. They went above and beyond to help us find my wife's dream car. If you're looking for a specialty car, these guys can find it for you!